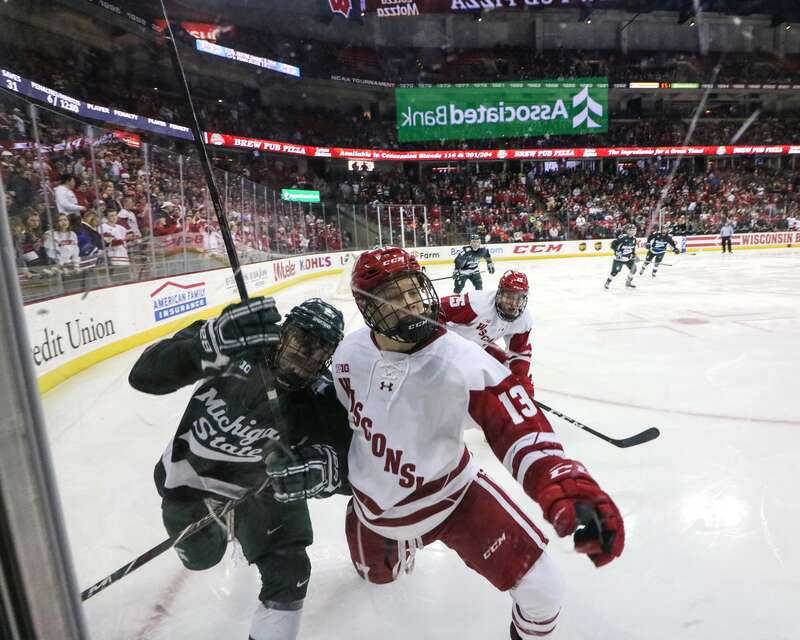 The University of Wisconsin men’s hockey team has without a doubt experienced some trials and tribulations against fierce competition since a home series split against then-No. 6 Penn State in early December. With 12 pivotal conference games remaining in the 2018-19 season, it’s worth looking back at what the team has accomplished over the past six weeks as the Badgers prepare for a push to earn themselves their first postseason bid since 2014. 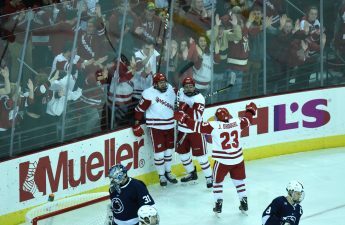 Coming off the series against Penn State, the Badgers were able to take the first two wins against conference rival Michigan State in regulation to the tune of 5–3 and 3–0, respectively. In the first game of the series, Wisconsin got off to a hot start with three goals in the first period courtesy of sophomore forward Jason Dhooghe and freshmen forwards Mick Messner and Ty Emberson. After Michigan State turned in a three-goal period of their own in the second period to tie the game, Wisconsin was able to avoid a comeback loss thanks to goals from senior defenseman Peter Tischke and sophomore defenseman Wyatt Kalynuk in the third period. 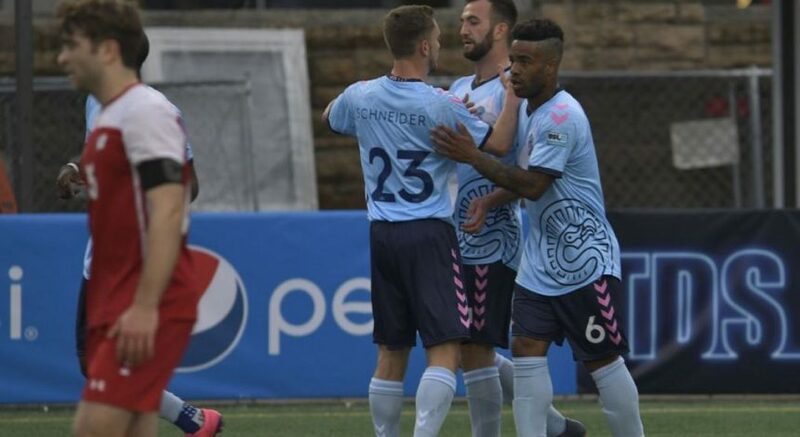 The team was able to win handily the following night as well, outshooting the Spartans 43-21 with goals from sophomore forward Sean Dhooghe, freshman defenseman K’Andre Miller and senior forward Seamus Malone. Following the holiday break, the Badgers had a less than ideal start to 2019 with a home series against now-No. 4 University of Denver. While the Badgers lost the first game 6–3 in regulation and the second 4–3 in overtime, positives from this series can be easily overlooked. The box score for the first game is a bit misleading — while Wisconsin ended up losing the first game by three goals, the two teams were quite even on most accounts. Goals from sophomore defenseman Tyler Inamoto and Malone led to a 2–2 tie entering the third period, but the Badgers were not able to keep up with a potent Denver offense in the third period as the Pioneers rattled off four goals to close out the game. The Badgers ended up losing the shot battle 33-28, though shots were even in the second and third periods. Despite jumping out to a quick 2–0 lead in the first period the following night off of goals from freshmen line-mates Dominick Mersch and Brock Caufield, the overtime loss was surprisingly lopsided. Denver was able to battle back with two goals in the second period, ultimately outshooting Wisconsin 40-16 in the contest. While a powerplay goal from senior forward Matthew Freytag put the Badgers up 3–2 with 10:52 remaining in regulation, the Badgers were unable to fend off Denver’s high-powered offense and fell in overtime. Wisconsin’s 6–2 loss to the U.S. National Under-18 Team was a bit bittersweet. While the team was outscored and outshot 36-23, watching three future Badgers perform at a high level on the college stage — Cole Caufield (two goals, one assist), Alex Turcotte (one goal, one assist) and Owen Lindmark (8-12 on faceoffs) — was a special moment. According to Central Scouting midterm rankings for the 2019 NHL Draft, Turcotte — a center — rounds out the top-five ranked North American prospects for the upcoming draft. Turcotte has recorded an impressive 18 points (nine goals, nine assists) in 13 games with the team this season. Cole Caufield — a right-wing —is not far behind him, as the 18-year-old winger is ranked 15th among draft-eligible North American skaters, amassing 46 points (31 goals, 15 assists) in 35 games with the team this year. A win has still eluded the Badgers in 2019, following a 6–4 home loss and a 2–2 tie on neutral ice at the United Center to No. 12 Notre Dame, now No. 11 in the country. In the first game at the Kohl Center, goals from Miller, freshman forward Roman Ahcan, sophomore forward Tarek Baker and senior forward Will Johnson made for a 4–4 tie entering the final seven minutes of regulation. But a Notre Dame goal 13:36 into the third put the Fighting Irish up by one and gave them the opportunity to score an empty net goal with 1:17 remaining. On the Chicago Blackhawks’ home ice this past Sunday, the Badgers battled hard to tie the Fighting Irish 2–2 in regulation thanks to first period goals from Mersch and Ahcan. Unfortunately, Wisconsin was unable to secure the point in the Big Ten standings, as they were unable to capitalize on a plethora of scoring chances in the second, third and the three-on-three overtime period. At first glance, the Badgers’ 9–4 loss to Minnesota Friday night gave the impression of a blowout. The reality, however, is that the Badgers were only down one goal heading into the final five minutes of regulation. A late second-period goal from Messner and three third period scores from Jack Gorniak, Brock Caufield and Malone brought the score to 4–5 before Minnesota rattled off four goals in the final minutes of the game. The battle was truly lost on special teams, as Minnesota was able to capitalize on three power plays and also added a shorthanded score. 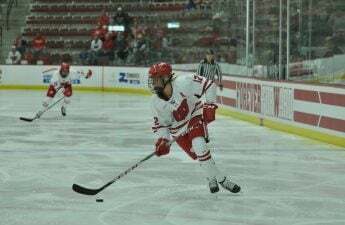 But the Badgers secured their first win since Dec. 8 Saturday night in a 4–3 defeat of the Golden Gophers. Goals from Mersch, Linus Weissbach and Messner allowed for a 3–3 tie game entering the third period. Tischke — the team’s captain — notched the game-winner four minutes into the final frame. While Minnesota was able to add another three goals on the odd-man advantage Saturday, the Badgers’ penalty killing unit was able to hold strong when it mattered most. Daniel Lebedeff was fantastic in the contest, killing the final two power plays and stopping all 12 shots in the third period. While Wisconsin’s overall record (9-11-4) could be better, there is still a lot of Big Ten hockey to be played. With series against top programs like Michigan, Michigan State, No. 11 Notre Dame, No. 3 Ohio State and No. 15 Penn State still on tap, there is an open opportunity to move up in the rankings if Wisconsin can get hot at the right time. Additionally, strong play against these top conference teams can only help the Badgers’ chances of earning an automatic bid to the NCAA tournament by winning the Big Ten tournament.